Congratulations to the investor of KIZUNA 3 Rental Serviced Factory, SANEI TECHNOLOGY VIETNAM COMPANY LIMITED, a Japanese company with the production of various kind of equipment components including processing of metal machinery. Mr. Konoura Shinichi – General Director of SANEI TECHNOLOGY VIETNAM COMPANY LIMITED decided to start business in Vietnam to save the production cost by promoting the manufacturing in overseas as the price in Japan reached marginal cost. Though they’re currently supplying the materials from China, it’s getting difficult for them to purchase the material at low price due to the rising prices near the coast area in China. As a “China-Plus-One”, they chose Vietnam with large population, young average age, hardworking national character and minimum infrastructure necessary for their production activities. Mr.Konoura said the reason why he chose Kizuna as the place to start new business in Vietnam was “Convenient Location near HCMC center and suitable sized workshop for them. The most crucial factors for them to choose Kizuna was “Kizuna’s family-like atmosphere” and “supporting service by friendly and professional staffs”. 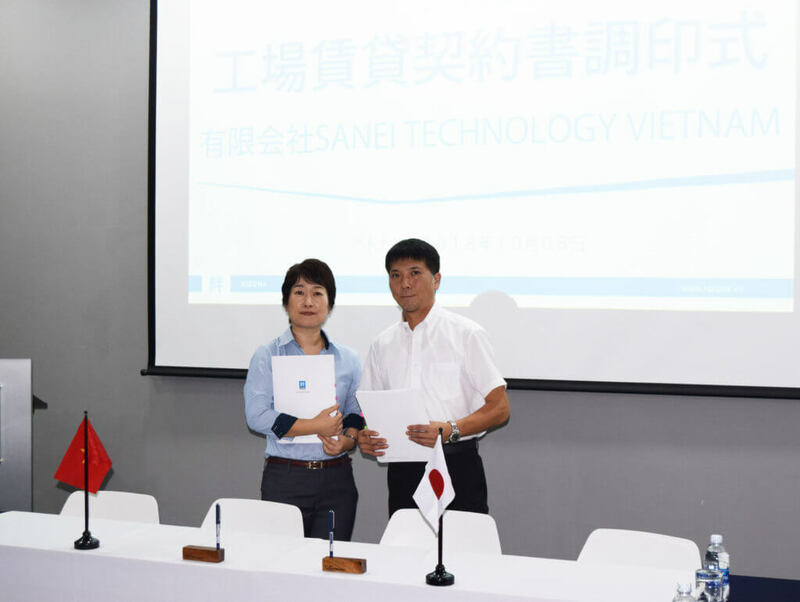 Kizuna continues to support SANEI TECHNOLOGY VIETNAM COMPANY LIMITED to be able to start operation smoothly and wishes their success in Vietnam.